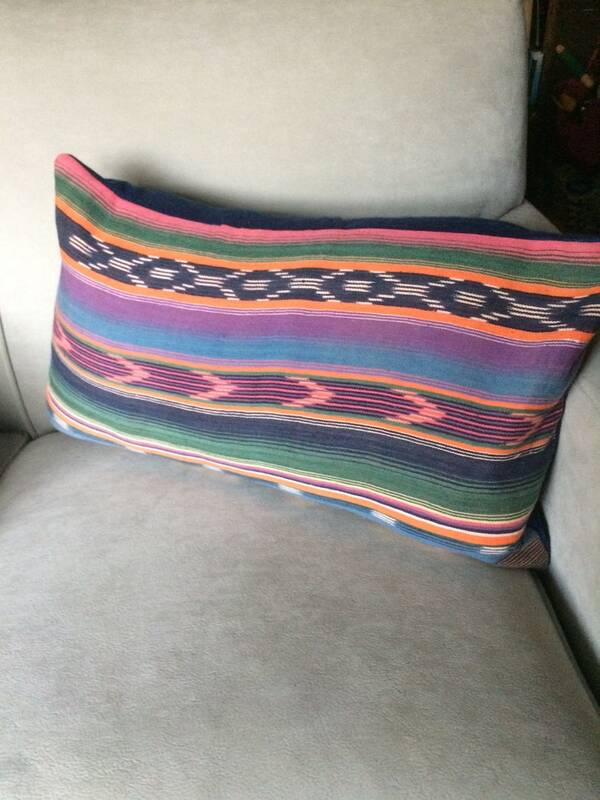 Throw pillow in southwestern design. 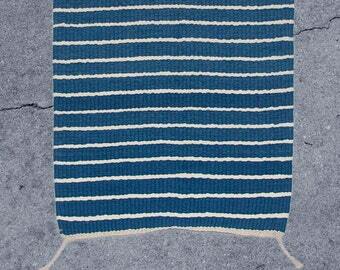 Cotton cover in blues, greens, orange, pink and gold stripes. Back of pillow is dark blue fleece, overlapped, so pillow can be removed and cover can be washed.